EDITOR’S NOTE: Updated July 17 with Rocket Lab statement. Two companies — U.S. aerospace giant Lockheed Martin and British start-up Orbex — seeking to carve out a share of the burgeoning small satellite launch market plan to fly their rockets from a remote site on the northern shore of Scotland, British government and industry officials announced Monday. 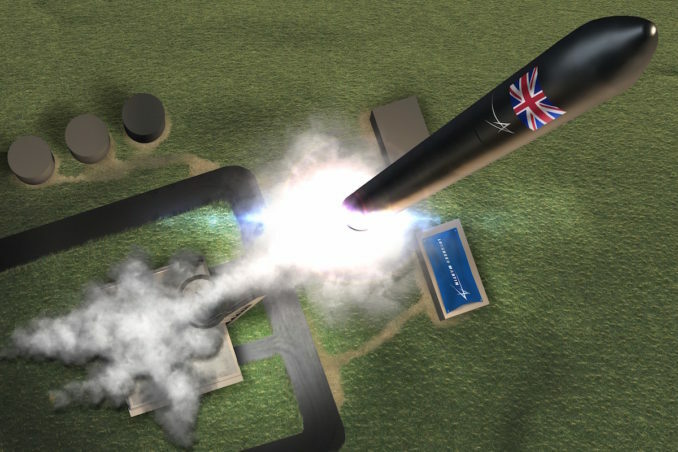 Both rocket developers received millions of dollars Monday in British government grants to advance their launcher technology, a day after U.K. officials announced the selection of a site in Sutherland on Scotland’s north coast for the nation’s first vertical orbital launch base. The proposed launch facility would be built on A’Mhoine Peninsula, a sparsely-populated stretch of land overlooking the sea. The first launch from Sutherland could happen in the early 2020s. The U.K. Space Agency has committed £2.5 million ($3.3 million) to go toward development of the Sutherland launch site, officials announced Sunday. The funding will go to Highlands and Islands Enterprise, the Scottish government’s economic development agency for Sutherland and surrounding regions. The British government also announced Sunday the availability of £2 million ($2.7 million) in funding to boost development of horizontal spaceports across the U.K. Sites in Cornwall in southwest England, Glasgow in Scotland, and Snowdonia in Wales are under consideration by government and industry officials for use as horizontal spaceports, which could host takeoffs and landings of spaceplanes and aircraft carrying air-launched rockets planned by companies like Virgin Orbit. British government officials said the development of a U.K. spaceport would give the nation’s industry broader access to the space market. British companies, such as SSTL in England and Clyde Space in Scotland, are already counted among the global leaders in constructing small satellites. “This will build on our global reputation for manufacturing small satellites and help the whole country capitalize on the huge potential of the commercial space age,” Clark said in a statement. Scottish Secretary David Mundell said the Sutherland launch site could create hundreds of new jobs. Lockheed Martin is reportedly interested in launching a variant of Rocket Lab’s Electron booster from the Sutherland site. 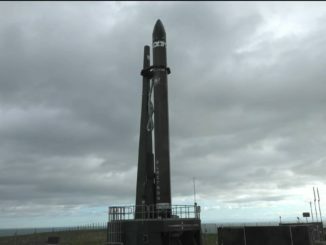 The U.S. aerospace contractor is a strategic investor in Rocket Lab, which already operates an orbital spaceport in New Zealand, and is planning to develop a U.S. launch pad for the Electron vehicle, which has made two test flights to date. Rocket Lab said in a statement late Monday that it is “evaluating launch opportunities” from the Sutherland spaceport in Scotland. “Electron is well-positioned to be the first orbital rocket launched from U.K. soil,” said Peter Beck, Rocket Lab’s founder and CEO. “We’re excited to review the opportunity to develop a launch service to support the U.K. space industry’s growth. Lockheed Martin expressed a stronger commitment to the Scotland launch site. 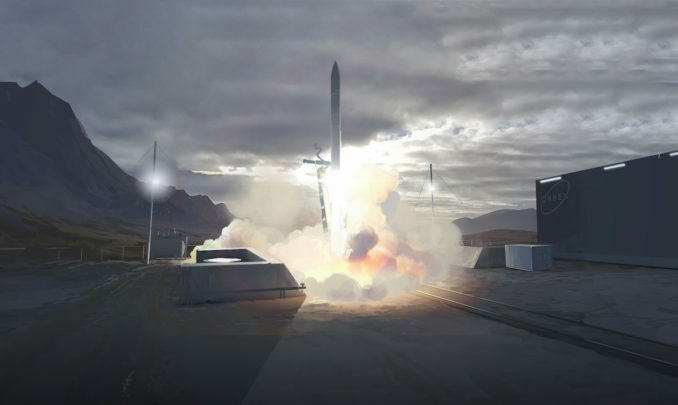 Lockheed Martin said in a statement it will provide “strategic support and guidance” to the Scottish government in developing the Sutherland launch site. The U.K. Space Agency awarded two separate funding grants to Lockheed Martin, one to help pay for the company’s efforts to aid the construction of the spaceport in Scotland, and another for the development of a Small Launch Orbital Maneuvering Vehicle — or SL-OMV — in Reading, England. The orbital maneuvering vehicle, to be built for Lockheed Martin by Moog, will be a restartable upper stage capable of delivering up to six satellites to different orbits. Lockheed Martin said it plan to conduct a “pathfinder” launch in partnership with Orbital Micro Systems, a Colorado-based company which aims to deploy a constellation of miniature commercial weather satellites. Orbex’s £5.5 million ($7.3 million) grant from the U.K. Space Agency is part of a £30 million ($40 million) funding round announced by the company Monday. The funding for Orbex comes from a mix of public and private sources, including the U.K. Space Agency, the European Space Agency, the European Commission Horizon 2020 program, private investors, and two of Europe’s largest venture capital funds: Sunstone Technology Ventures and the High-Tech Gründerfonds. Orbex plans to share the Sutherland launch site with Lockheed Martin, potentially using two separate launch pads at the spaceport. Orbex has kept its planned micro-launcher, named Prime, under wraps until recently. The Prime launch vehicle will be capable of carrying up to 330 pounds (150 kilograms) into low Earth orbit, according to Orbex. The company, which has subsidiaries in Denmark and Germany, says the Prime rocket will be fully designed, built and launched in Europe. Rocket Lab’s Electron booster, which Lockheed Martin is eyeing to capture a piece of the small satellite launch market, has a comparable lift capacity. It can put a payload of up to 330 pounds into a 310-mile-high (500-kilometer) sun-synchronous orbit. Many technical details of the Prime vehicle have not been released by Orbex, but the company says it will burn a renewable bio-propane fuel that cuts carbon emissions by 90 percent compared to conventional hydrocarbon fuels. The Prime micro-launcher will carry “an innovative new low mass recovery and re-flight system” to make its components reusable, according to Orbex. 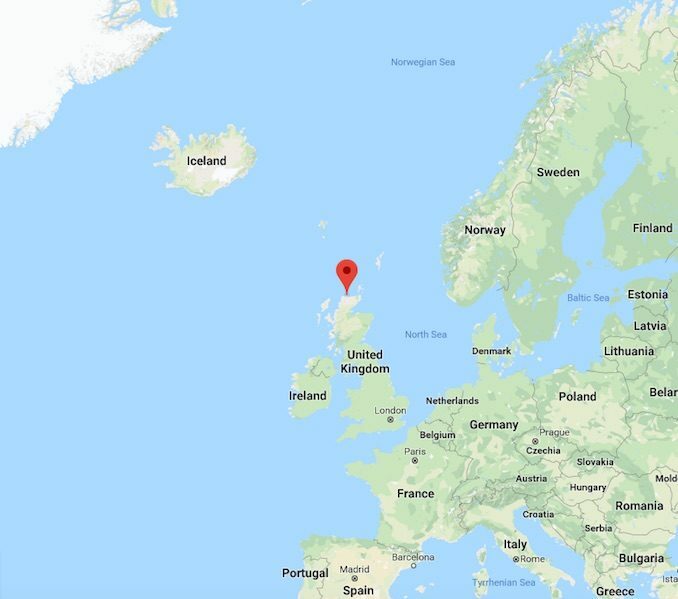 Launch vehicles taking off from Scotland’s coast in Sutherland will fly to the north, taking routes over the Norwegian Sea between Iceland and Svalbard to ensure debris does not fall on populated areas. Officials say the Sutherland spaceport is well-positioned to allow rockets to place small satellites into north-south orbits that fly over Earth’s poles. Such orbits are commonly used by Earth-observing satellites and low-latency communications stations, including mega-constellations of commercial satellites currently on the drawing board. In a separate agreement signed Monday, California-based Virgin Orbit revealed plans to base some missions of its air-dropped LauncherOne satellite booster from from Cornwall Airport Newquay — also named Spaceport Cornwall — in southwest England by 2021. 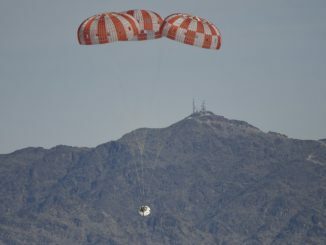 Founded by Richard Branson, the British entrepreneur, Virgin Orbit plans to stage the first test flight of the LauncherOne vehicle from the Mojave Air and Space Port in California later this year. The LauncherOne rocket will be dropped from under the wing of a modified Boeing 747 jumbo jet over the ocean, then fire into orbit. The British government says it has set aside additional money to bolster development of domestic space launch capabilities. There remain open questions on how UK regulatory agencies will oversee launch operations in Britain, and how export restrictions will affect rocket launches in Britain using U.S. technology. 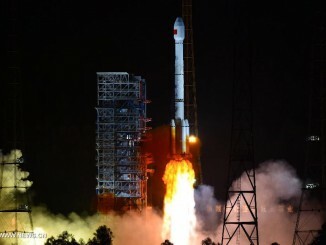 “In general this is good news – (the) U.K. actually making decisions and moving things forward, but this has been talked about for best part of a decade,” Bleddyn Bowen, a space policy expert and lecturer in international relations at the University of Leicester, wrote in a Twitter post.